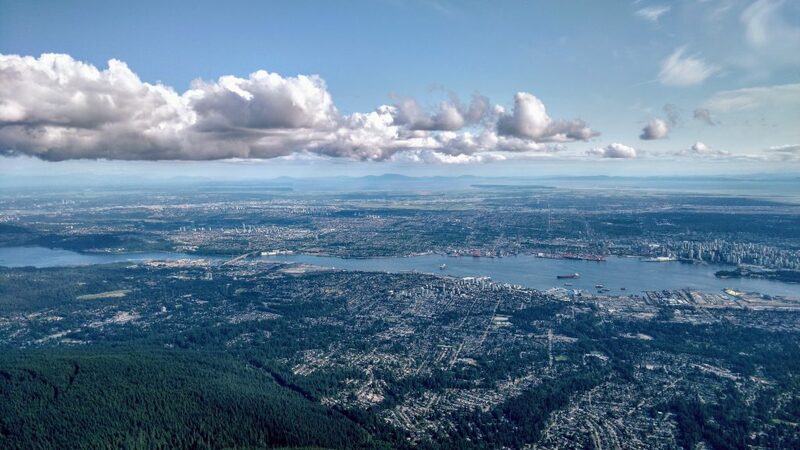 View from “The Cut” at Grouse Mountain, looking at North Vancouver and the Iron Worker’s Memorial Bridge. Photo by Nicole McLearn. 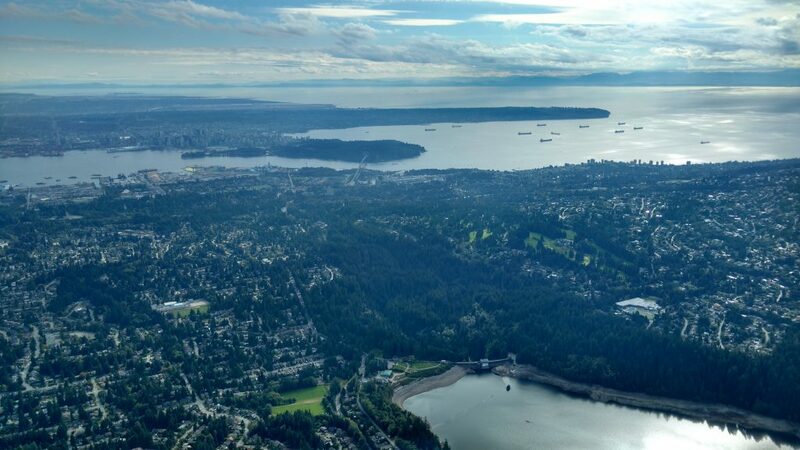 Looking at downtown Vancouver, Stanley Park, and Lions Gate Bridge. 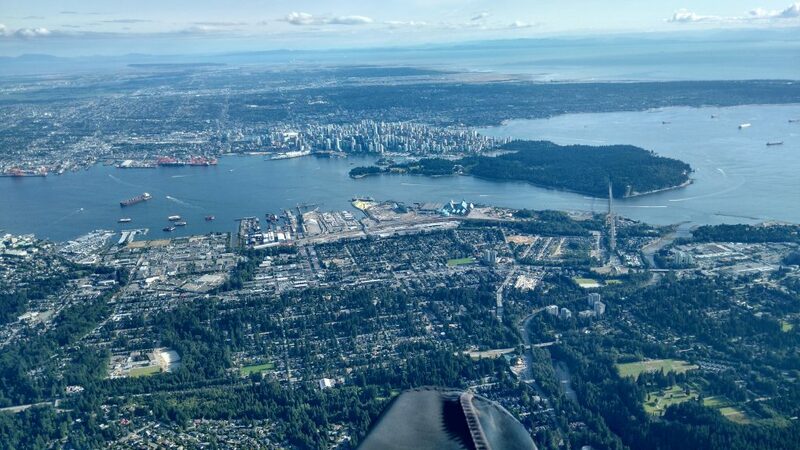 Vancouver International Airport is visible in the far distance. Photo by Nicole McLearn. 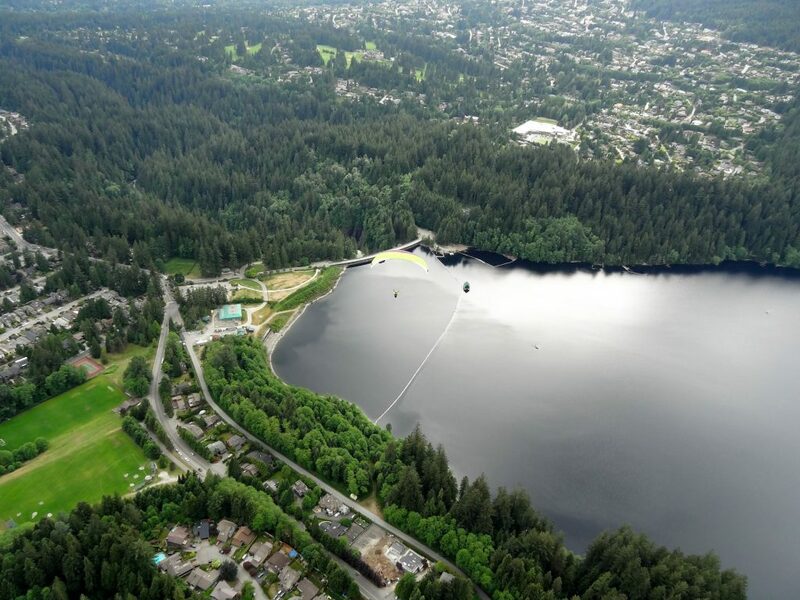 Guest pilot Tom Furst’s first flight at Grouse Mountain! 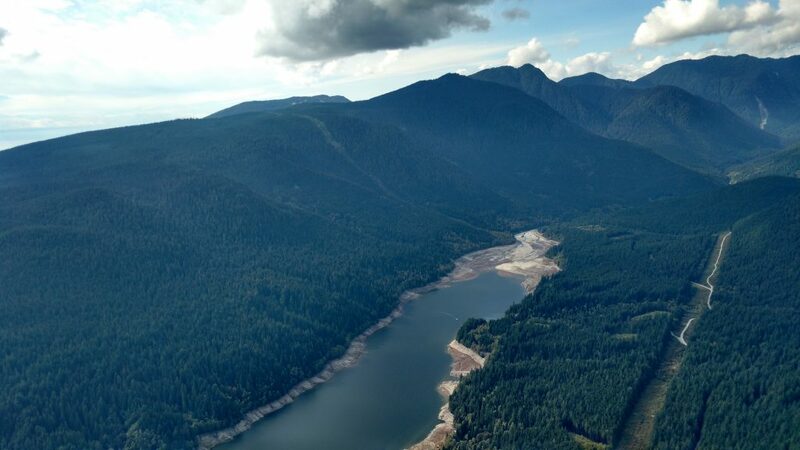 The LZ are the green fields (Cleveland Park) to the left of Capilano Reservoir. Photo by Bill Nikolai.